The Cessna Citation Mustang is a single-pilot-certified jet aircraft, built to provide ample storage area, advanced engine controls and a sleek aerodynamic design. The smallest of the Cessna Citation family, the Citation Mustang features one of the fastest cruising speeds and largest baggage capacities in the class, as well as a full Federal Aviation Administration (FAA) type certification to fly into known icing conditions. As the first Very Light Jet to ever be certified, the Cessna Citation Mustang has always been a prominent entry in the private aviation world. Belonging to the world famous, outrageously successful Citation series, the Mustang is the compact light jet value model of the family. With cruising speeds up to 340 knots, short takeoff capabilities, and fast climbing rate, the Mustang is an agile and efficient business jet. With three passengers and a pilot, the Mustang's range is around 1,100 nautical miles. Six windows provide natural lighting for a more comfortable interior atmosphere and an extended underbelly facilitates additional interior space despite its notably small exterior. Its interior cabin is 9' 9" long, 4' 7" wide, and 4' 6" tall. The Mustang is so renowned for its speed, reliability, and flexibility that it can be outfitted as a medevac for emergency situations. This is no surprise as the Mustang is one of the fastest business jets available on the market today and is ideal for customers who require speed in addition to luxury. Although the interior cabin is relatively small compared to larger options on the market, it uses its available space efficiently and stylishly. Ergonomic seating is comparable to many larger models including fully-reclinable leather seats with AC power supply, storage space consoles, retractable work tables, and comfortable armrests. Additionally, the Mustang has an impressive amount of storage space for a jet of its category boasting 57 cubic feet (or 620 lbs) of external baggage volume. If you are looking for the ideal entry-level jet for one to three passengers, the Mustang is an incredibly cost-effective, comfortable, and efficient choice for short-range trips. While the Mustang isn't capable of going coast to coast, it's a breath of fresh air for those who know where they need to go and want to get there quickly. 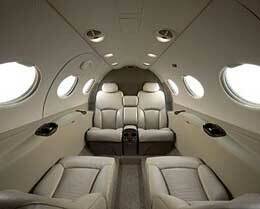 It excels at state-to-state travel and luxury vacationing with recessed walls to accommodate ski transport. The Mustang is incredibly fast, incredibly affordable, and incredibly innovative. Featuring powerful dual Pratt and Whitney Canada PW615F turbofan engines, the Mustang provides a lot of bang for the buck. In addition to being powerful engines, the PW600 line is also economical, reducing operating costs and purchase prices significantly in models utilizing the equipment. 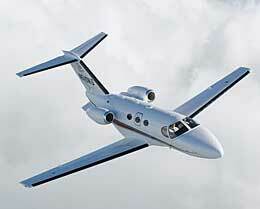 To top it all off, the FADEC control system further increases efficiency and simplicity in travel. Known for being able to be piloted easily. Featuring simple Garmin G1000 integrated avionics and many automated flight systems, the Mustang requires only one pilot and is ideal for owners who prefer to fly their own jets. Pilots will appreciate clear, consolidated flat panel displays, which make the piloting experience straightforward and intuitive. This is a huge advantage as it not only provides extreme versatility and flexibility, but also significantly reduces cost of operations. Even if hiring a pilot, the Mustang's simple one pilot cockpit solidifies its place as one of the most economical private jets available in today's market. Choose up to 3 aircraft below to compare them side by side. For more information about chartering, leasing or buying a Citation Mustang please contact us by calling +44-20-3874-8091 or send us an email here. 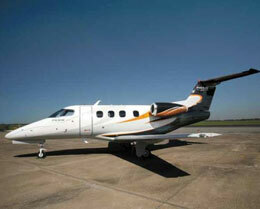 * Paramount Business Jets (PBJ) acts as Agent for Client in the marketplace and does not operate or own aircraft. 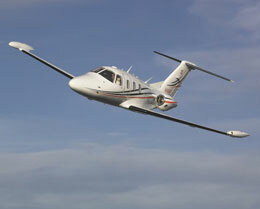 All flights are carried out by FAA and DOT or equivalent foreign authority approved aircraft operators. Full Disclaimer.